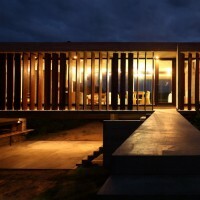 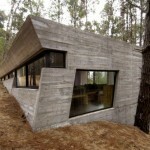 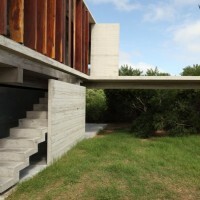 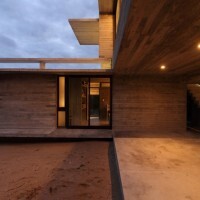 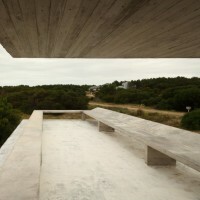 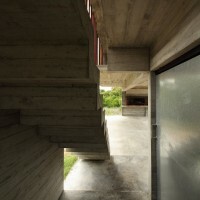 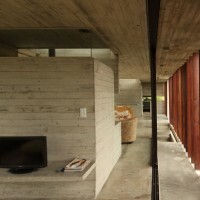 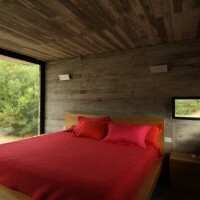 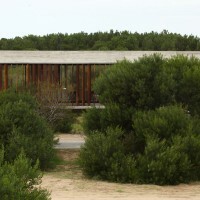 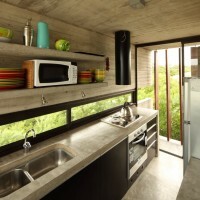 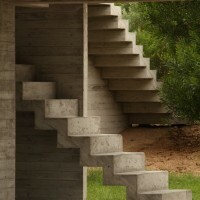 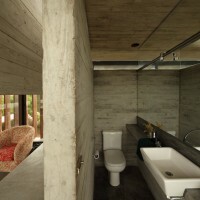 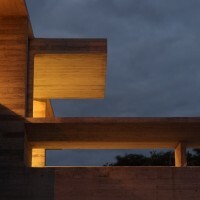 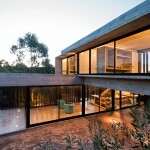 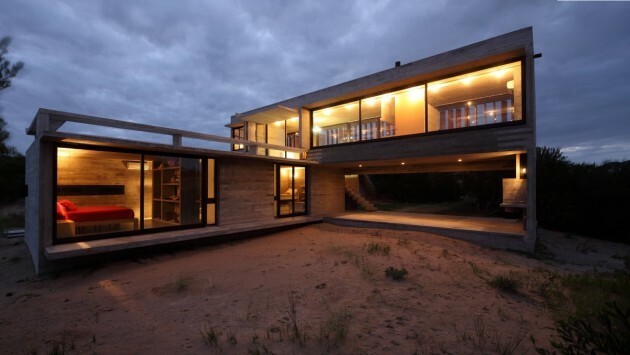 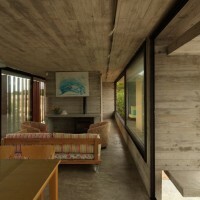 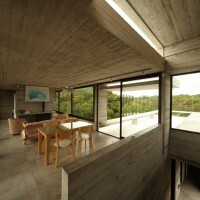 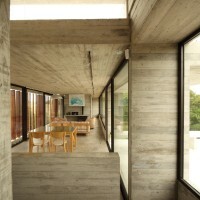 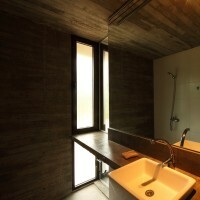 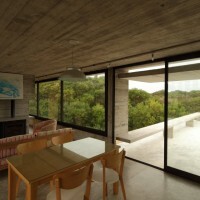 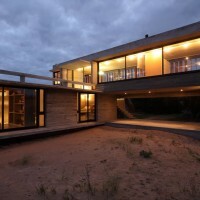 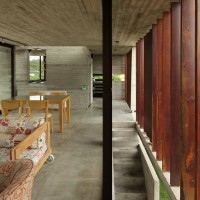 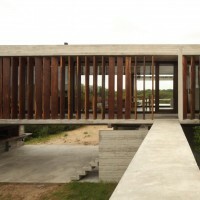 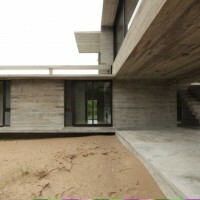 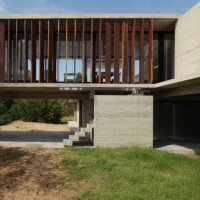 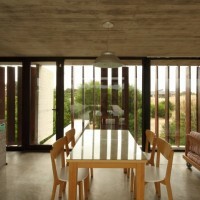 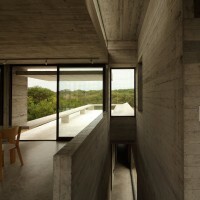 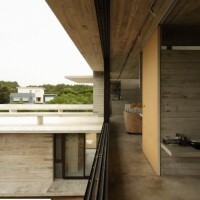 BAK Arquitectos have designed a concrete house in Costa Esmeralda, Argentina. 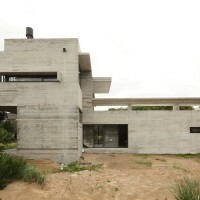 The client requested the project of a summer house with aesthetics and benefits, in terms of maintenance, built of concrete houses in Mar Azul. 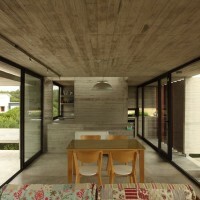 The house should have two rooms and a third of sporadic use: to be visited by an older child or eventual guests. 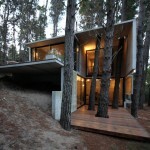 The projectual answer seeks to capitalize on the difference in level between the street and within the lot. 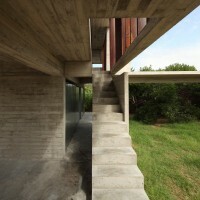 For this reason, we decided to solve the house in two volumes perpendicularly intersecting in “L” at different levels, opting to provide more privacy to the volume that contains the private uses of the house by resting over the level of the lot and placing it perpendicular to the front. 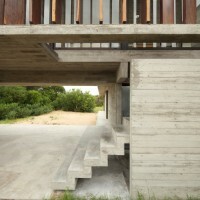 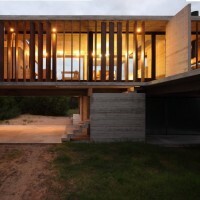 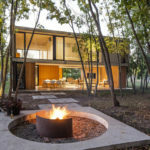 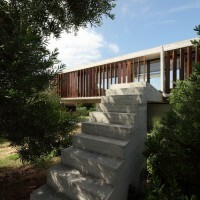 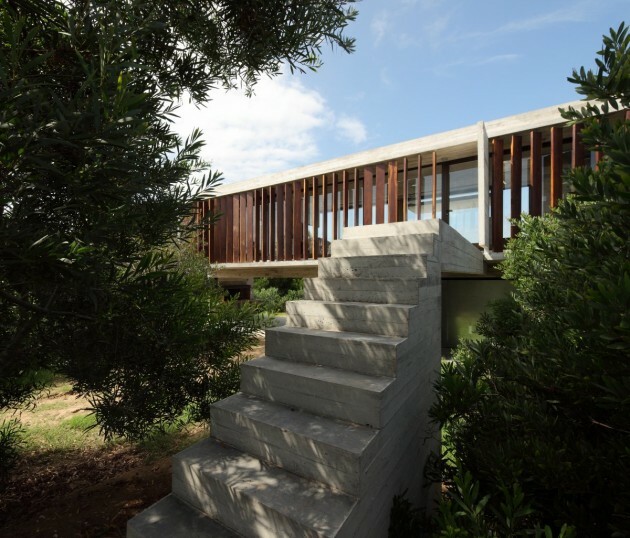 The higher volume, of public use, is resolved alongside the front line taking advantage of the acacia trees that provide privacy and allow the enjoyment of the far views into the wilderness environment, in turn its elevated position sought to provide the house some presence from the street leaning out slightly above the level of the acacias. 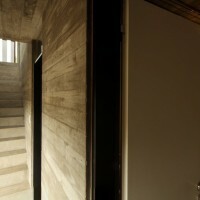 This volume was generated as an elongated prism, supported at one end over the volume of the bedrooms. 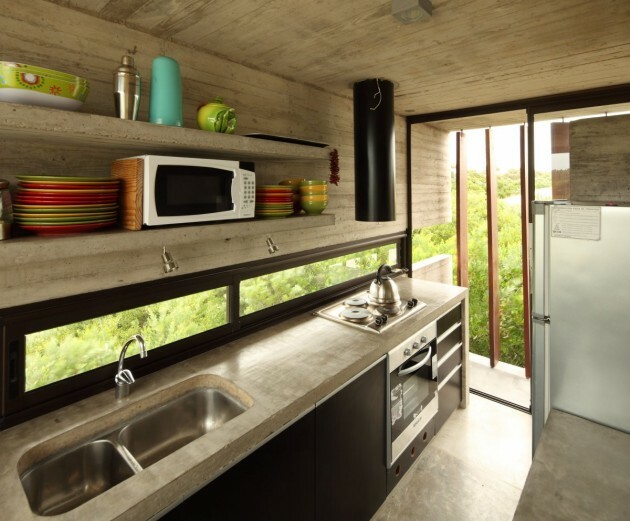 At the opposite end rests on a blind lateral wall on which, in the lower level, the grill was located taking advantage of the partially covered generated as flexible use space serving both for storing of two cars as for preparation and enjoyment of the classic roast. 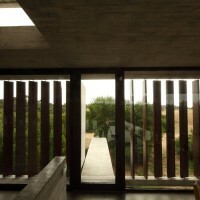 This space is protected from external visuals in part by the difference of level and in part by the abundance of acacias on the front of the lot, so that there can easily develop all kinds of activities.